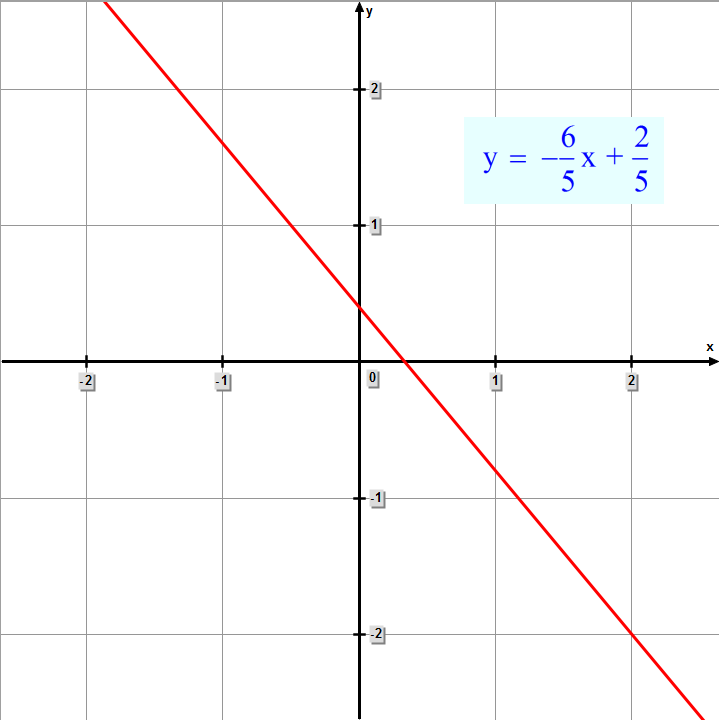 Determine the slope of the line graphed by 5y + 6x - 2 = 0. 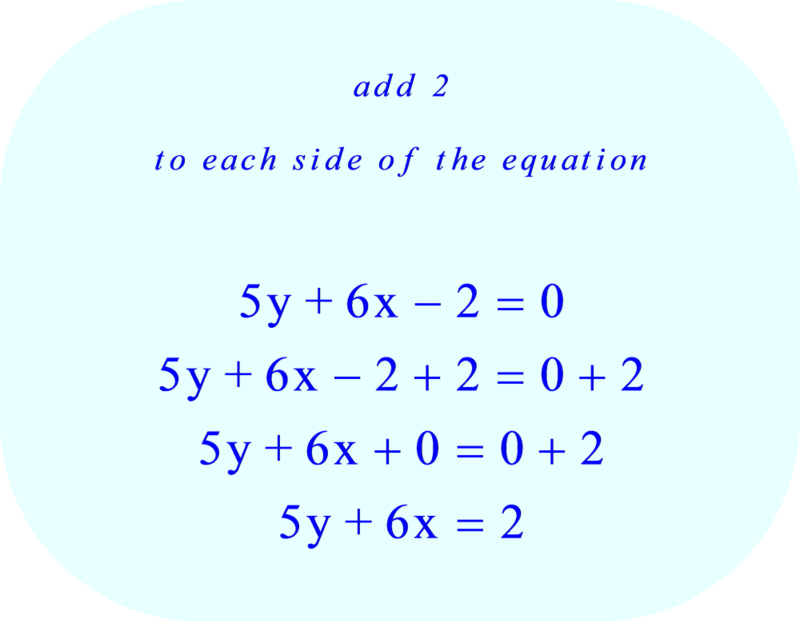 Type a numerical answer in the space provided. 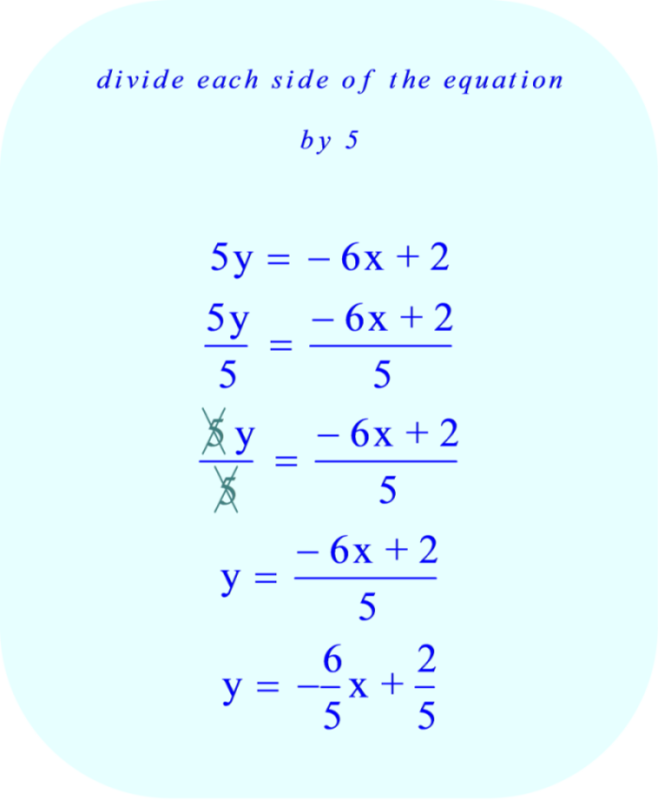 If necessary, use the / key to represent a fraction bar and leave your answer in terms of an improper fraction. 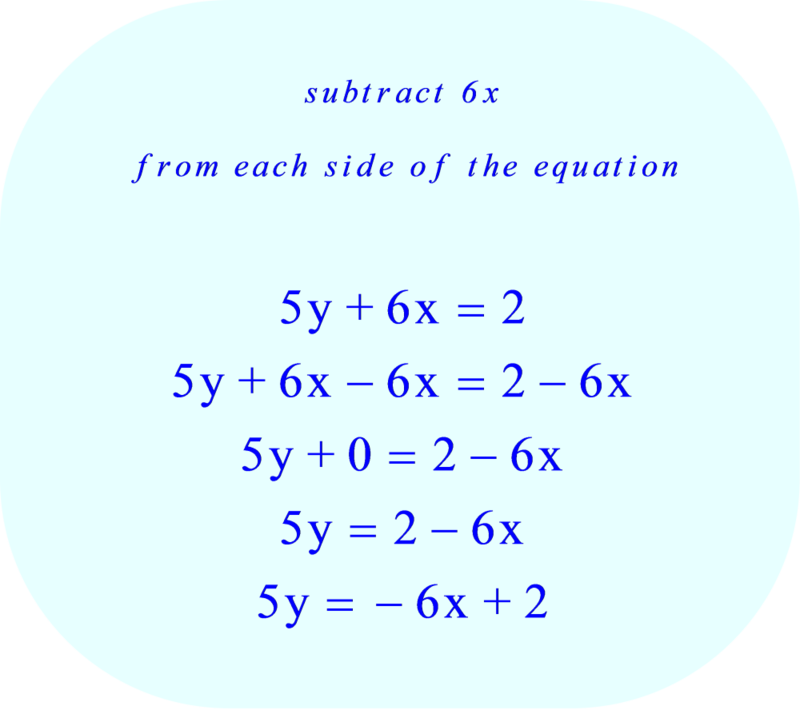 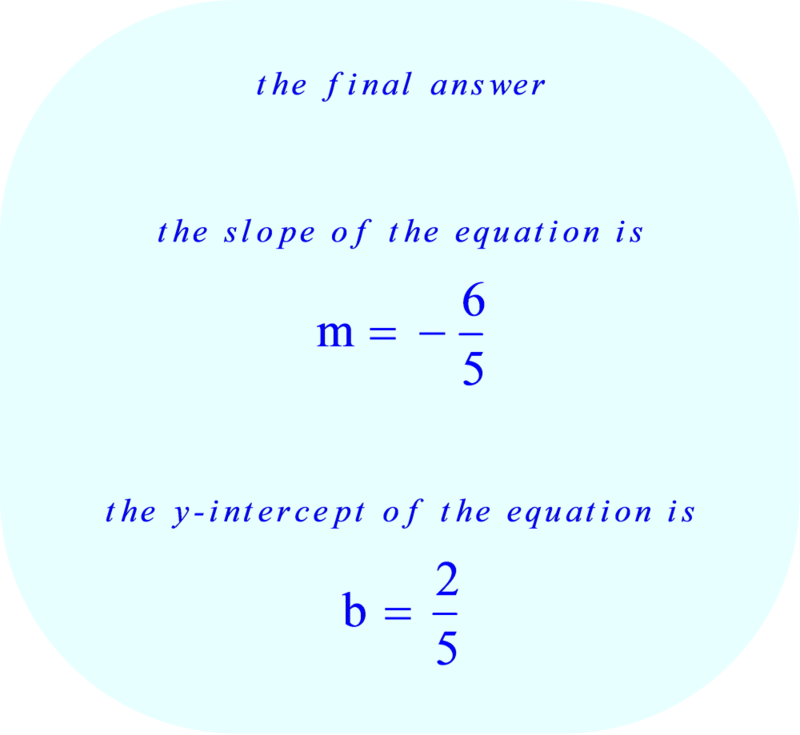 An easy way to determine the slope is to rewrite the equation in the slope intercept format.